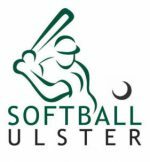 Softball Ireland have today announced the formation of a Slow-pitch Development Working Group whose key objective is to develop a plan to support the retention and growth of participation in adult Slow-pitch Softball in Ireland. Softball Ireland have appointed Katie Sadleir as the independent Chairperson of the Working Group. Katie is a high profile and experienced appointment with a broad knowledge in the sports world having shaped High Performance sport in New Zealand for a number of years. Katie is currently the General Manager of Women’s Rugby for World Rugby. Katie is a former Olympian and Commonwealth medal winner with New Zealand. The other members of the Working Group will include representatives from Leinster, Ulster and Galway as nominated by the Regional boards. 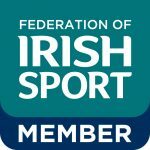 The Softball Ireland Executive members will also sit on the Working Group. The Terms of Reference for the Working Group stem from the successful membership forum held in 2017. The Working Group will report to the Softball Ireland Board and updates will be shared with the members quarterly.